Do you enjoy exploring new local hot spots in Brisbane and telling people about it? If your answer’s yes, then you’re the local legend we’ve been searching for. 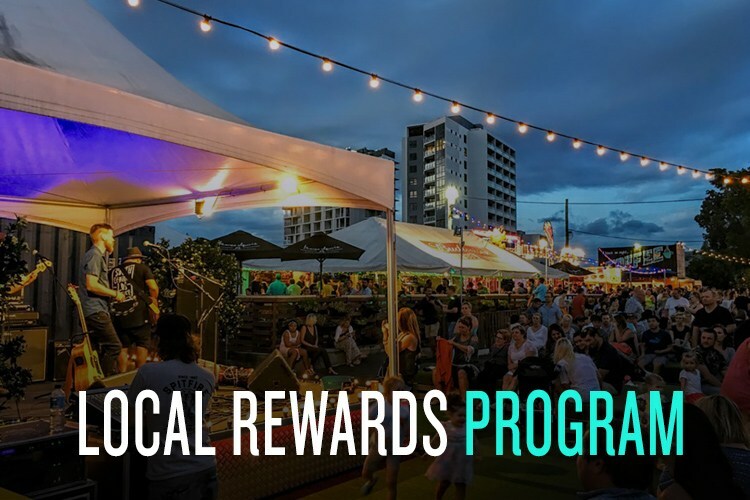 We’re starting a program to find Local Legends across Brisbane because we know that if anyone knows what’s hot and happening in your local area, it’s you! What rewards can I earn? From Tuesday 3 May til Sunday 22 May, there are 4 challenges for you to complete and we will reward you for each of them. Challenges will be as simple as signing up, writing reviews, adding businesses and photos. Sign-up and write 5 reviews. Write 12 reviews and add a new business. Write 15 reviews and 10 photos. Complete all 4 challenges plus have most number of reviews. Do the challenges have to be performed within a certain time frame? Yes, there is a deadline for all challenges. Please read above challenge description for details. For full frequently asked questions click here. E-vouchers: will be distributed immediately upon notification. VISA Reloadable Cards: will be sent via snail mail. The recharge amount will be loaded onto your VISA card once you have received and activated it. Please note that it may take up to two weeks for the money to appear on your card. Will I be penalised for writing a negative review? No. When writing a review, it is up to you whether your review is positive or negative – just make sure your review is a true account of your experience with the business and that you follow our review guidelines. For full frequently asked questions click here. How long are the reward vouchers valid for? Vouchers: Vouchers are only valid until the voucher expiry date specified on the voucher or by the provider, and are subject to any terms and conditions imposed by the provider. Once awarded, the Promoter is not be liable for any voucher that has been lost, stolen, forged, damaged or tampered with in any way. Tickets: Tickets are only valid for the date or period specified on the tickets or by the provider, and are subject to any terms and conditions imposed by the provider. Once awarded, the Promoter is not be liable for any ticket that has been lost, stolen, forged, damaged or tampered with in any way. For full frequently asked questions click here. *This is for Brisbane residents only. Don’t worry if you’re not, we’ve got something exciting rolling out to you soon, so sit tight!